A preview of round 18 A-League clashes. 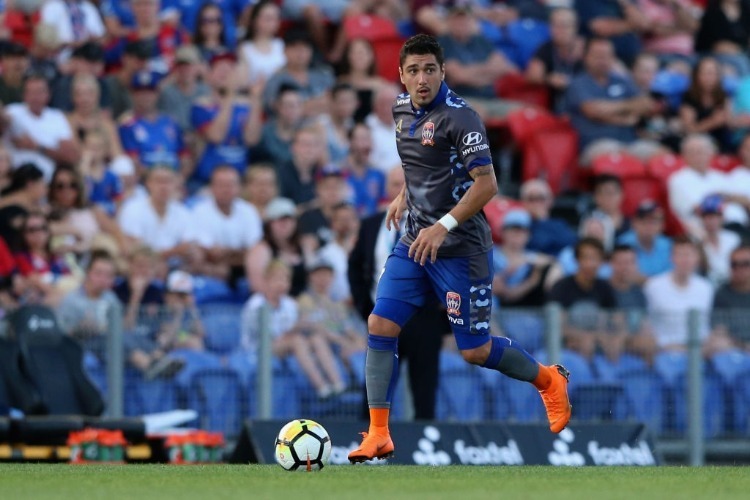 Newcastle are sweating on the fitness of chief playmaker Dimi Petratos as they prepare for a clash that will shape their season. Eight points adrift of sixth-placed Wellington, Ernie Merrick's men need the points if they are to stay within touching distance of a finals berth. Petratos is battling lower back soreness but will be given until game-day to prove his fitness. The Phoenix have won just two of their past 14 A-League games on the road, but did have success on their last visit to McDonald Jones Stadium. Key: Dimi Petratos. If he starts, he'll be a handful for the visitors, boasting two goals from his past three games against the Phoenix and more shot attempts than any other player this season. The Roar haven't won an A-League game in 11 attempts, losing 4-3 last weekend after jumping to a 3-0 lead. One point behind second-placed Melbourne Victory, Sydney FC have plenty to play for at Suncorp Stadium, where the hosts haven't won since November. Former Iranian striker Reza 'Gucci' Ghoochannejhad will debut for the Sky Blues, who will also be bolstered by the return of return of skipper Alex Brosque (foot) and Michael Zullo (suspension). Brisbane will be without suspended custodian Jamie Young after the in-form goalkeeper's red card last weekend. Key: The Roar need a fast start. Brisbane haven't scored in the first 15 minutes of a game this season and have conceded seven - three more than any other side - in the same period. With just three wins between them from 34 games this season, a win for either team would be some welcome respite. That's especially the case for the Wanderers and coach Markus Babbel, who has come under fire since his side's most-recent 5-1 loss to the Jets. There are still 10 games remaining before finals, giving the newcomer plenty of time to show his worth and the Mariners a chance to turn their promising performances into points. Melbourne can jump into the top four and ahead of United, who haven't beaten them in their past four clashes. United haven't managed a goal in those games, but City aren't exactly prolific at the moment, going goalless in their past two fixtures. Star Uruguayan striker Bruno Fornaroli continues to twiddle his thumbs in the stands, as Socceroos marksman and former Roar striker Jamie Maclaren prepares for his A-League return. A Victory win at home would take them within one point of the ladder-leading Glory. Melbourne have lost just one of their past 13 matches at home but the Glory did prevail 3-2 when they last met at AAMI Park in October. Injuries have stretched Victory in recent times, however the injection of NPL standout Elvis Kamsoba in last weekend's comeback defeat of the Mariners is an example of their depth. Key: Chris Ikonomidis. A conversion rate of 85.7 per cent of his "big chances" this season proves he's likely to make Victory pay if presented with an opportunity.